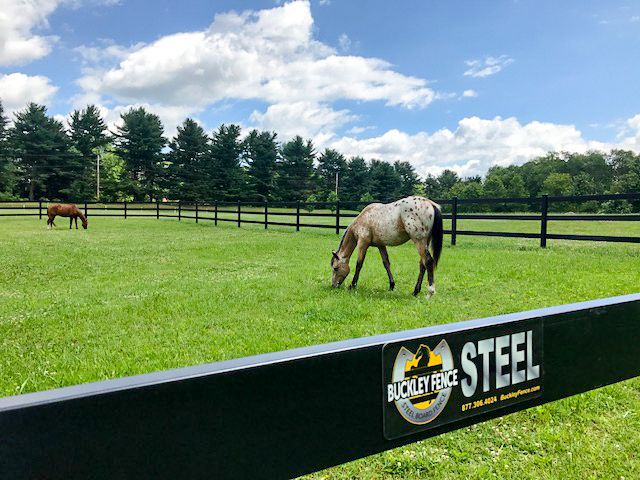 Mary sent us some great shots of her horses inside her new 3-rail texture black Steel Board fence. 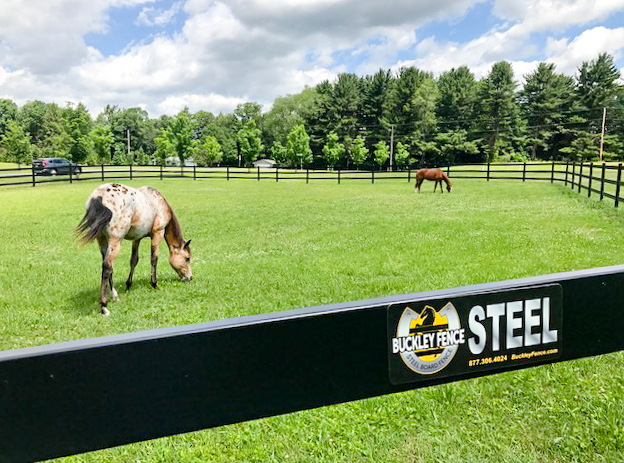 The logo on the fence is a large magnet. 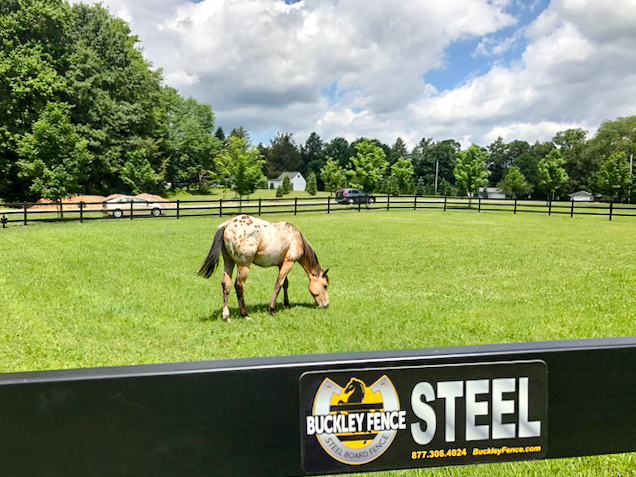 Photos courtesy of Mary Pat Dundore. 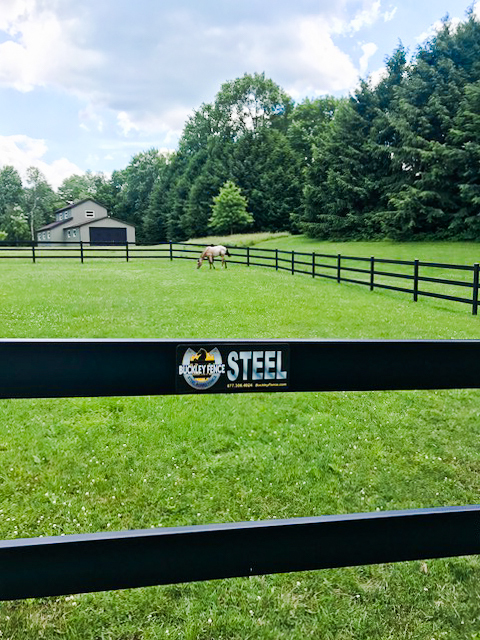 This entry was posted in Horse Fencing, New Install and tagged black fence, black horse fence, Buckley Fence, horse, horse fence, horses, new install, pa, pennsylvania, steel board. Bookmark the permalink.